The team over at PlayStation EU have put together an excellent series of posts gathering some end-of-year thoughts from a group of prolific creators. We were thrilled with how they turned out, so we’re running the series here as well. If you’re based in Europe, do yourself a favor and bookmark the EU PlayStation.Blog for more high-quality, region-appropriate updates and announcements into 2018 and beyond. 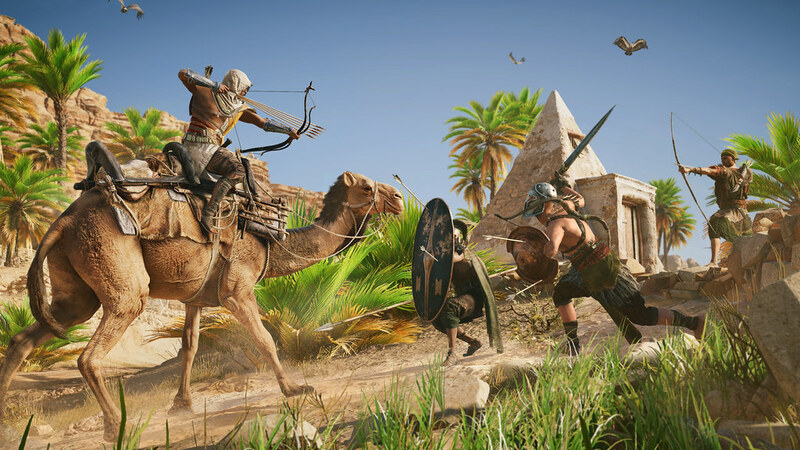 While story, characters and visuals are all key components of what makes a videogame memorable, it’s their core mechanics and gameplay systems that make them fun – and 2017’s release roster offered fun in abundance. To celebrate the last 12 months’ embarrassment of riches, we wanted to call out the systems that have wowed players over 2017 – and what better people to ask than the expert developers who have crafted some of PlayStation’s games over the past 12 months? Interesting article, I hope there’s more gameplay mechanic interviews like these more often. I like reading about Team Ninja’s opinion on Western games. I hope Ninja Gaiden 4 is awesome. Is Ninja Gaiden 4 in the works? I thought the team shifted to Nioh after Ninja Gaiden 3? Are they now back to Ninja Gaiden? A plug for Hidden Agenda? Really? Um funny but also the play link mechanic was amazing. It change a basic interactive story game into a completely different social experience with friends. I love how the grand majority of these are conveniently Ps4 exclusives. Sorry but while these may be great games these opinions are extremely biased. All this games were absolutely and I mean absolutely stunning Garbage!!! And I’m surprised how dumb these developers really are to make such childish games with non sense stories that even kids will be bored to play with! Specially the worse game of my life Horizon zero Dawn which was absoulte headech and garbage! If this is Sony’s exclusive games,I may as well switch to Xbox! I’ve spent so much money on this game and I’m just regretting wasting my money and this giant wasteland of this garbage games! Please create something fun and not just open word nonsense..games like god of war,The order 1886,they have stunned me in the past and it’s so sad to see how industry it’s losing the good games over open world..